The extended duration of British military engagement with Egypt and the substantial numbers of troops involved make it an especially fruitful case study for the analysis of militarized cultural encounters. It’s an intriguing period in Egypt’s history which upon closer examination reveals a well-documented interest in the heritage and archaeology of Egypt – influenced by the growth of photography and the affordability of the camera. 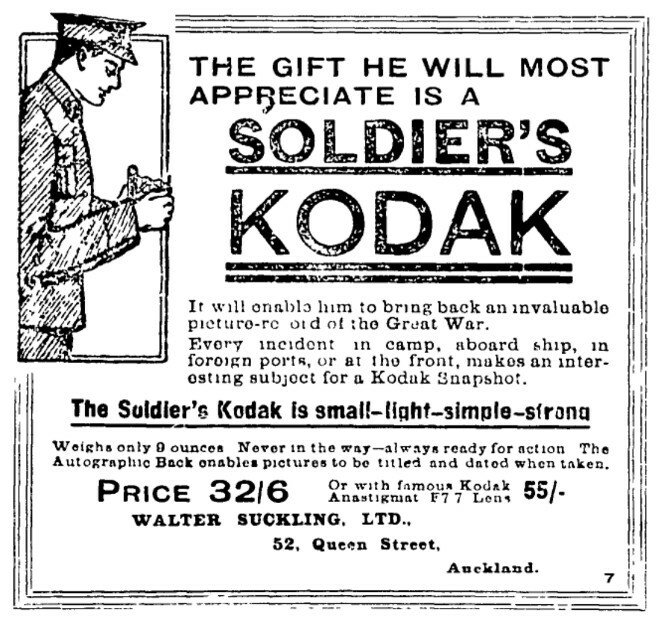 Despite the camera ban in 1915 many of Kodak’s innovative vest pocket cameras were taken to the battlefields of WW1 earning it the nickname of ‘the Soldiers Kodak’. By defying orders not to take cameras to war, many soldiers and nurses created evocative records of life in the camps, hospitals and battlefields. For many young men and women, most of whom had never traveled beyond their home towns, it must have been an incredible experience to look upon the Pyramids at Giza. Troops arriving in Egypt were amazed by the sights and sounds of Cairo and plenty of spare time enabled the opportunity for sightseeing and travel. To date, little attention has been paid to the visual and material record of serving soldiers in Egypt. Their photographs, letters and souvenirs provide a record of life in Egypt, an experience which appeared to have left an indelible mark on all who visited. My research aims to examine the perception and experience of Egypt by soldiers of all ranks from Britain and the Empire from the eighteenth to the twentieth century and I’m looking forward to sharing some fascinating material with you.